After staying at the Berjaya Resort last time, this time it was a more 'back to basics' trip where we stayed with East Divers in Tekek village right next to the marina. Tekek village is a more lively part of Tioman island and it all feels a bit more local here than on other beaches on Tioman where most faces you see are those of western tourists. 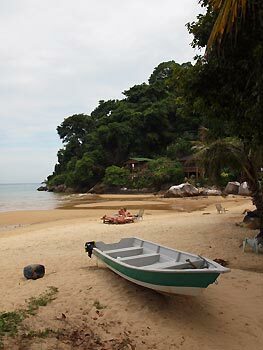 Tekek is also where the Tioman island airport is located so getting there by boat and plane is extremely easy. An internet cafe and a number of duty free shops are right along the main road of Tekek. 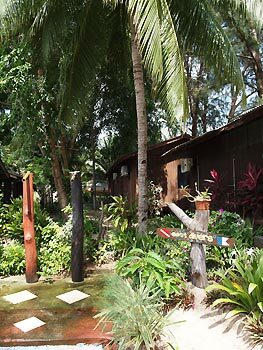 'East Divers' is a very friendly place with a great local feel, the rooms they call 'Sofia Chalet' are quite basic but they are situated right on the beach and some have air condition and their own bathrooms. The meals are fantastic, especially if you value local food and there is always plenty of it. There is a very relaxed beach bar right next door where evenings go by very fast and the sun sets in perfect view from the comfortable deckchairs ... oh and did I mention, Tioman is one of the few duty-free shopping zones of Malaysia which means the generally very expensive drinks became a more affordable enjoyment ( ... if that is what you're into). Tioman is not only a diver's destination. Many tourists come her just to soak up the sun and the relaxed beach atmosphere. Lush tropical jungle covers about 12,000 hectares of the island and countless mountain streams and waterfalls sustain the many protected species of mammals and birds. The island is especially popular amongst Singaporeans as it only takes a few hours to drive to get to Mersing Jetty from where a ferry to Tioman takes a mere 2 hours. It is the largest island in the South China Sea and offers an extensive selection of resorts, hotels, beaches and natural parks. 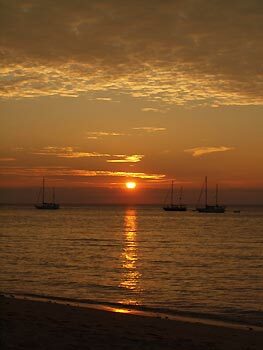 Tioman Island has a distinct diving season that runs from early February to the end of October, after which the monsoon brings unpredicatable weather and many dive centres are closed. Similar to other islands along the east coast of Malaysia, Tioman is protected for conservation by the authorities. 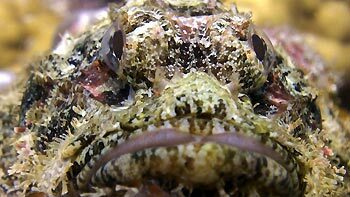 Diving here offers a wide range of dive sites from sheltered bays to volcanic rocky outcrops and pinnacles. We were a little unlucky with the conditions and visibility was very poor (5-10 metres) during most of our diving on the island. The first few days we stayed close to shore exploring Renggis and Soyak which are little islands you can pretty much circumnavigate in one dive, both reasonably close to shore and both in very easy reach of East Divers' base. In the middle of 2010 the Tioman Marine Park authorities decided to close Renggis and Soyak amongst a few other dive sites on Tioman and Redang Islands for diving and snorkelling to help restore the apparent damage that coral bleaching has caused to the marine life, but - at least while we were on Tioman - those closures seemed to be pretty much ignored by the operators with many snorkellers and divers still heading into the exclusion zones. In any case, it seems questionable to me what impact diving could have on the recovery from the current coral bleaching event that affects much of the South China Sea. 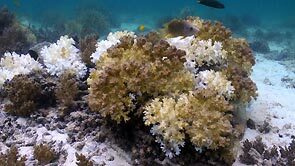 We all know that coral bleaching, which can eventually cause corals to die, generally occurs when stresses including rising sea temperatures disrupt the delicate relationship between the corals and their symbiotic miroscopic algae (zooxanthellae). During coral bleaching events the coral host expels its zooxanthellae whose photosynthetic pigments give corals much of their colour. Without this symbiotic algae the tissue of the coral appears transparent and the coral's bright white skeleton is revealed. 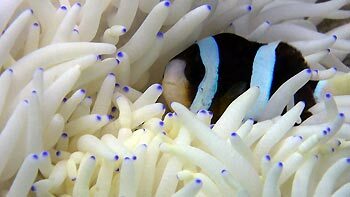 Coral bleaching can also happen in non-reef building members of the Cnidaria Phylum and we saw a large number of solitary anemones appearing very pale or white. 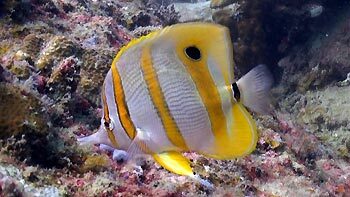 In regards to the protection measures of the marine park authorities it is interesting to note that some studies have shown that once bleaching begins, it tends to continue even without ongoing stress. 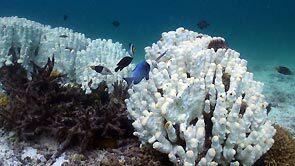 If the coral colony survives the stress period, zooxanthellae often require weeks to months to return to normal density. Of course such publicly promoted closures are probably a great excercise in creating public awareness of the problems associated with global warming, ocean acidification and the like or for those non-belivers out there, unrelated increases in water temperature or acidity over extended periods. What impact such changes have on the local economy is a different question but this is not the time and place to discuss local politics. 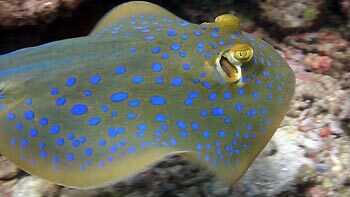 In total, there are over twenty dive sites around Tioman Island, with something for everyone from the newly certified to the experienced wreck diver but we only managed to explore a few of them due to the unfavourable conditions. Overall the coral bleaching was quite apparent with maybe 30-40% of all coral bleached. The reefs seemed a bit healthier on the dives sites we visited that were further away such as Tiger Reef which was my favourite dive site overall and Labas Islands. Particularly at Tiger Reef it could be due to the strong currents and the deeper dive sites that the coral bleaching seemed to have a lesser effect on the health of the marine life. Tiger Reef is a submerged reef that lies between Labas and Sepoi island. Its large boulders are encrusted with beautiful hard and soft coral formation, seafans, sponges, sea whip, fire coral and tablecorals. A number of swimthroughs and the generally spectacular scenery makes this dive site in my opinion the pick of the bunch. We saw some larger schools of trevallies, big balls of baitfish and loads of moray eels on this dive and despite the low visibility I truly enjoyed it. All in all Tioman remains a locals favourite and its beauty above and below the surface is unquestionable. It will be interesting to see if, how and when the reefs recover from the current coral bleaching event and whether the closure of some of the dive sites has any effect on the speed of their recovery.